1) Macarons – LADUREE— laduree has been in business since 1862, and in the early 20th century, pierre desfontaines, the cousin of louis ernest laduree, thought of filling two macarons, giving laduree its most famous delicacy. in paris, france, during fashion week, at 16 rue royale, i spotted the window of laduree, and was absolutely taken with the charming collectible boxes that Alber Elbaz had designed. he is a designer that loves women and creates sensuous designs for LANVIN Paris; a dress of choice for thebestdressup. the temptation is not just his designed box for LADUREE, but the macarons that are sweet treats for thebestdressup now! 2) Christian Louboutin— the french footwear designer whose luvFAB shoes are signed with red lacquered soles. he says high heels are pleasure with pain, but are these booties made for walking? just indulge your fantasies with his naughty designs, and yes, i will as well walk with them. pleasure with pain? and to think that the first shoe he designed under his own name, was a flat shoe called the love shoe. sensible shoes are not always an option for thebestdressup now! 3) Bořek Šípek— the czech architect and designer well known for neo-baroque unconventional designs. 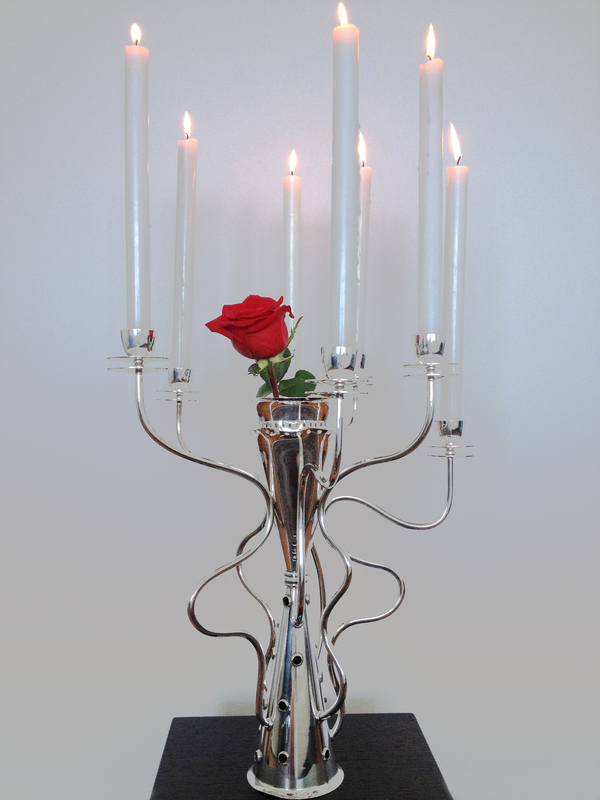 his simon candelabra was designed for driade in the ’80’s and the silver plated whimsical design incorporates a flower vase in its center. i am most attracted to light in all its forms. it is an alluring proposal to place flowers in the midst of fire; if just to illuminate beauty. this candleholder holds seven candles and much light for thebestdressup now! This entry was posted in ACCESSORIES, DECOR, FASHION, FOOD, luvFAB, PEOPLE and tagged BOREK SIPEK SIMON CANDLEHOLDER, CHRISTIAN LOUBOUTIN, LADUREE. Bookmark the permalink.